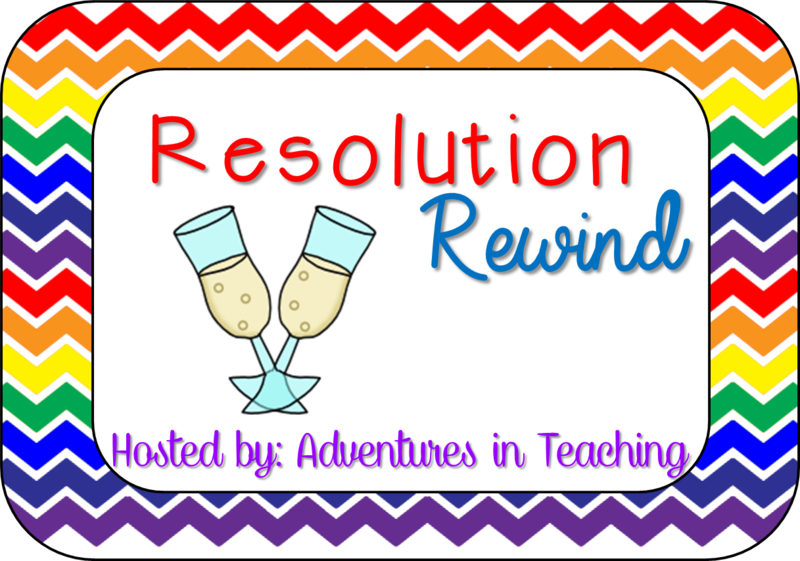 Time for reflections with a fun linky with Adventures In Teaching. Kind of fun to reflect. Goal 1: I am going back to a previous post... I want to start off the new year by creating stronger relationships with my kiddos. Seeing them only once a week is hard to do that. I started standing out in the hall after school to say goodbye and ask them what their plans are. I started giving more high fives at the door and reminding myself to give more "paws" out with a compliment to boot. I walked around even more than normal to give them a boost on checking to see if they understand what we are learning about. I am going to continue to memorize over 400 names of my students so that I can also call them by name and not have to look at their folder to figure it out. Wish me luck on this one, I am a face person, not a name person.. I think these little things will pay big in the end. Goal 2: I am trying hard to find ways to help all of my students retain the information taught in my classroom. Vocabulary is huge and I am working on finding ways for my students to remember and retain their new words as well as remember the words they learned in past lessons. I am going to work on ticket out the door, and mini- quizes as well as cloze activities for them to place in their science notebooks. I also want to get posters in each room with the question of the day/big idea and notes. This hopefully will help, too. There are some great ideas out there, just need to follow through! Goal 3: I am really going to focus on my blog and making new products that can help me in my own classroom and help others, too. I don't want to get down if my products don't sell or if I don't get new followers, I will stick with it because it will help me organize my own life and help my own classroom! So, there it is folks. How am I doing? Well Goal 1...I have learned more names, giving more compliments out... and asking kids questions to get to know them and sharing a bit about me, too. Goal 2...I have been making posters, checking out at the door, and close activities. I think I am doing pretty well with this one! Can always add more vocabulary and test prep ideas. I am working on this one next week. Goal 3... I have added three major units: Roller Coaster Science, Angry Birds, Valentine Heart Healthy Science and an Olympic Science stations that one has been very successful. I just started my Roller Coaster unit after school and the kids love it! I am also starting my own Valentine lessons this week with my 4th graders! I have more up my sleeve, but I wanted 50 products this year and I am not even half way there. I better get going. In a nut shell, my goals were pretty good. Glad I didn't goal set for exercising. I would have failed miserably! Happy February!